Dr. Alan Roadburg's experience in the non-financial or lifestyle side of retirement planning is both academic and practical. He has a PHD in Sociology from the University of Edinburgh, and was a tenured professor at Dalhousie University, specializing in Social Gerontology (the Sociology of Aging), Sociology of Retirement, and the Sociology of Work and Leisure. During that time, he interviewed 400 retirees, and the results were published in his book 'Work and Leisure in Retirement'. He was also an Adjunct Professor at Simon Fraser University. 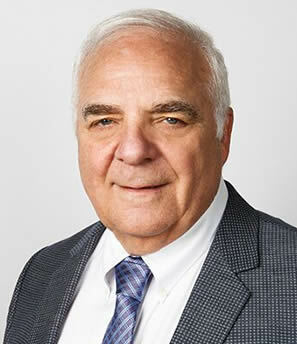 He changed careers in 1986, to establish the Second Career Retirement Program to develop and present his unique Life Goal Planning approach to retirement. Life After Medicine is grounded in the results of research among 600 retired physicians in the US and Canada. This research is a unique and valuable resource for any retiring or retired doctor. Life After Medicine (3 hours) Presented by Dr. Alan Roadburg. True retirement happiness is not based on money alone, but on being able to replace satisfactions, such as social interaction, challenge, involvement, achievement, etc., lost from work. Life After Medicine includes our exclusive Life Goal Planning approach to address this important issue and to create a retirement that will be worthwhile and enjoyable. Although this is not a financial planning program, Life After Medicine can provide the element missing from most retirement plans, namely determining a financial goal based on your retirement life goal, needs and aspirations. In this way Life After Medicine can help to truly personalize your financial plan. Wed Mar 27 Charlotte Amalie, St. Thomas, U.S.V.I. 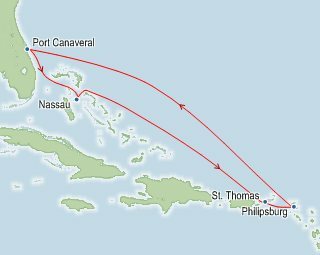 Port Canaveral, Florida - Port Canaveral lies just 35 miles east of Orlando, along the 72 miles of pristine beaches known as Florida's Space Coast. Besides its close proximity to Orlando's theme parks, you'll find space-age attractions of Kennedy Space Center Visitor Complex, and the U.S. Astronaut Hall of Fame.